Debbydo for GFC news: Elephant in GFC! All hands, this is Captain McMillan. I have an important announcement to make. Unfortunately a mutant Roman elephant has escaped custody: we were holding it for an exhibition, but it broke out of its cage. We are doing whatever we can to capture it: even dressing up like Romans to win its trust. It's important that you all remain calm. I'll keep you informed of the situation as time progresses. This is Captain McMillan again. 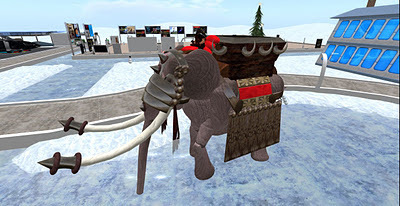 The mutant Roman elephant has been spotted at the Sandbox. Just act normal, as if it's not there. We hope the elephant will think he'll loose interest then, and simply move away. 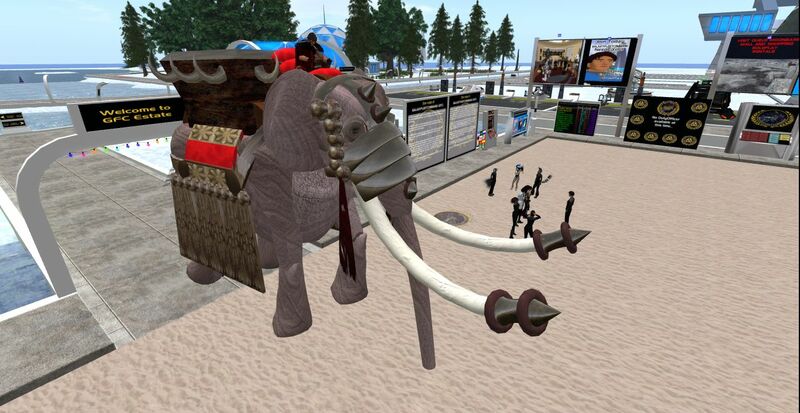 This is one strong elephant. Latest reports place the elephant *inside* the Engineering building, wrecking it from the inside out. Don't worry, we feel we're close to catching the animal. We'll be luring him onto the frozen water. With any luck, it won't be able to hold its weight. The ice is too strong! Perhaps it was a mistake to tell the elephant that in order to stay there, it would need to pay rent. Sorry Admiral, just trying to get some more income... didn't seem to work out. 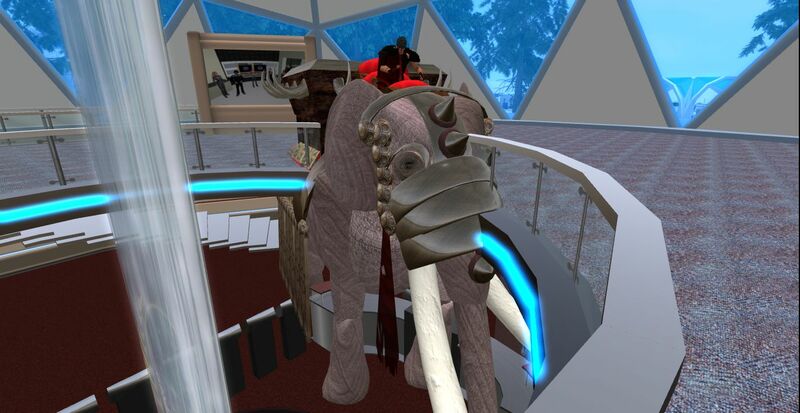 The elephant is now spotted *inside* the Library. Perhaps it just wants to look at the exhibitions? 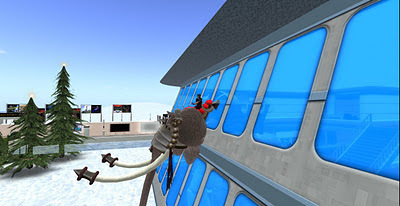 Unfortunately, by doing so, it severely damaged the building! I mean, just look at it! Members of GFC, I am pleased to report that the situation has been resolved. 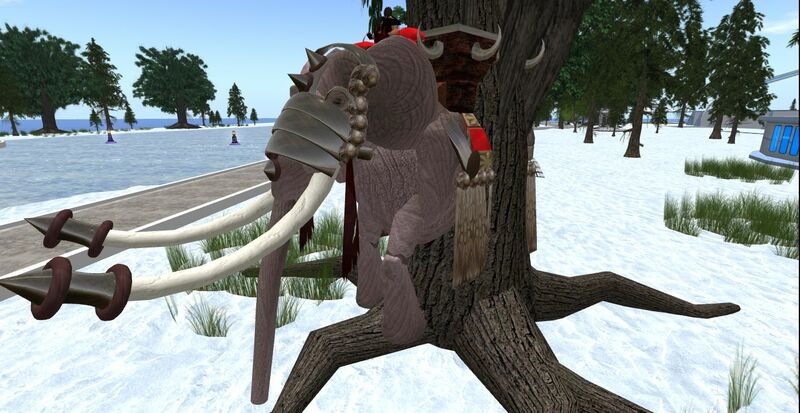 We managed to capture the mutant Roman elephant by driving it into a tree. Sadly, all of this hasn't been without consequences: there are elephant-sized holes in the Library and the Engineering building. If anyone has any elephant sized plates to put against those holes to keep out the cold, please... let me know! 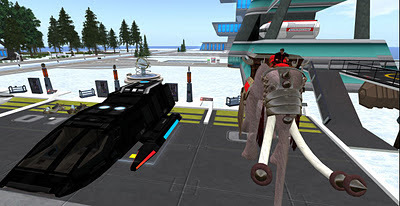 This was Captain RoBobby McMillan, bringing you the latest in the elephant crisis! Until next time! Ignoring the elephant and hoping it wouldn't leave large holes in the GFC wasn't the best tactic in the world..... I did go up to it, waved a finger and told it to behave, it just turned to me and said "I don't give a tusk" and walked off....Blooming rude.